Menuki: On the solid gold, Shishi dog and peony are engraved. 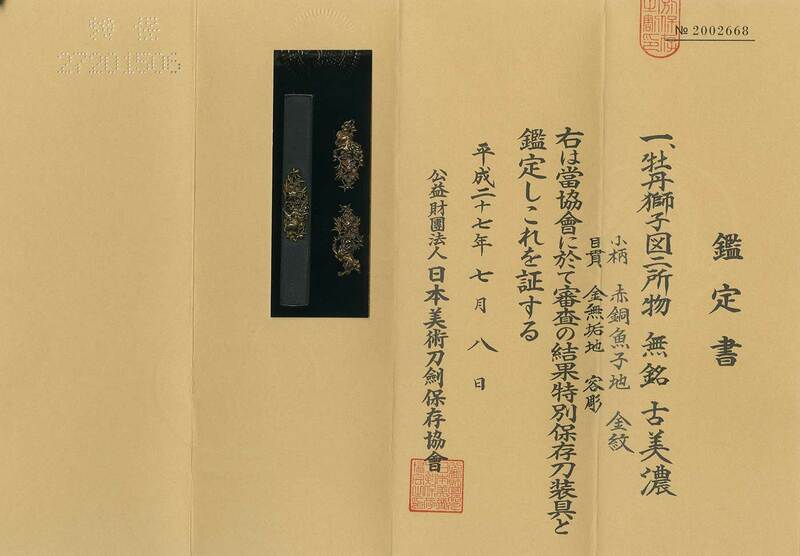 Kozuka: Shakudo Nanako, Shishi dog and peony are engraved(it might be solid gold). called Ko-Mino. The engraving is deep and so nice.